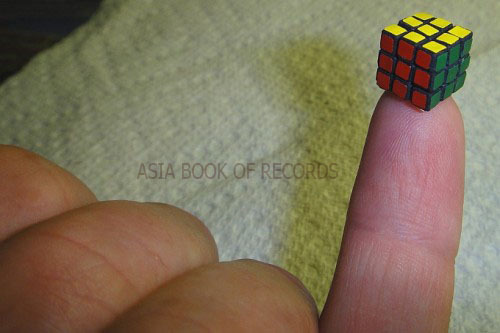 Evgeniy Grigoriev (Russia) created the smallest Rubik’s Cube measuring 10 mm (0.39 in) wide. It is fully functional and can be used like a normal Rubik’s Cube. Comments for SMALLEST RUBIK CUBE are now closed.